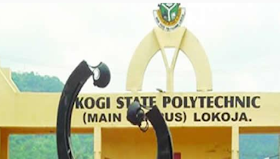 The Kogi State Polytechnic community was thrown into mourning on Monday after one of its lecturers, Mr Yakubu Nataala, slumped and died at his residence in Lokoja, Kogi State. It was gathered that residents of the area speculated that late Nataala might have died due to his frustration over his non-payment of his salaries. Punch Metro gathered on Monday that the lecturer received his salary last in July 2017. According to sources, his inability to meet his financial needs had been a source of concern to him. However, Luke Tijan, a public relations officer of the institution, has debunked residents' speculations. The institution's spokesman told Punch Metro that the lecturer, who was previously operated on for ruptured appendicitis, died of complications arising from the operation. Tijani, however, confirmed that the deceased was among lecturers who had not received salaries for many months. "Yesterday (Sunday), we lost one of our lecturers in polytechnics, who was previously operated on for appendicitis, and he was among some of the lecturers who did not receive paid salaries due to the screening," he said.